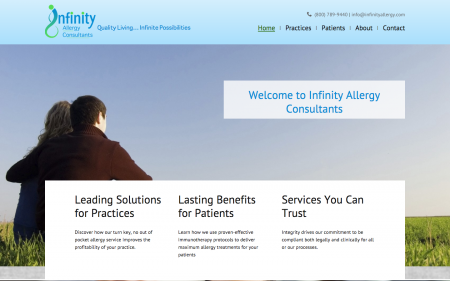 Charlotte-based startup Infinity Allergy first opened its doors in March 2015 to serve allergy technician services to physician practices nation wide. They were looking for a clean, simple-design content rich site to compete and gain customers with. The product we came up with does much to illustrate the comfort, trust and security patients come to look for in their doctors. The client was very pleased with our efforts.